leaves are best finely chopped or when cooked with fibers removed. seeds can be dried and ground into flour/meal. 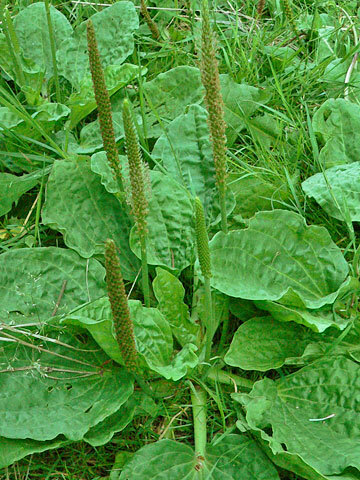 varieties in Ontario are Common plantain (Plantago major) and Narrow-leaved plantain (Plantago lanceolata). grows in a wide range of areas, including disturbed/cultivated soil in plains, foothills, and montane regions.